When you hire an electrical company, you want to be sure that they are trustworthy, professional, and knowledgeable in their work. 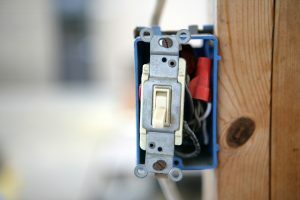 Electrical work is nothing that should be done poorly by an inexperienced electrician. This puts your home, and you and your family at risk. At Mr. Sunshine’s Home Services, our business is bonded, licensed, and fully insured, and has been providing Sun City and the surrounding areas with our electrical services for over a decade. Over the years, we have amassed a large number of loyal customers because of our experience, comprehensive services, and a strong commitment to the complete satisfaction of those that we serve. When you call Mr. Sunshine, you can count on our electricians to be on time, reliable, and get the job done right the first time. We have also heard many horror stories about contractors hiding the price of their work from their customers until the end, and then take a large chunk from their bank account. That is nothing that you have to worry about when you hire us. We are completely transparent with our pricing every step of the way. We also offer financing options in case you have a big project that needs to be taken care of but you’d rather not pay it all at one time. Your safety and satisfaction are our top priority. So if you are in need of electrical repairs or installation in the Phoenix or Sun City area, then don’t hesitate to contact us today and our technicians will be on their way as soon as possible! We are no one-trick pony at Mr. Sunshine. While other companies might specialize in a couple of areas of electrical work, we pride ourselves in being able to help our clients with whatever problems they may have, or new electrical installation that is required. If you don’t see what you see on the following list, then be sure to give us a call! We’re sure that our fully bonded, licensed, and dedicated electrical technicians will be able to help! It may be tempting, but don’t try and install your new ceiling fan on your own! This can be very dangerous and the fan will likely not get installed correctly. Trust the professionals! Looking to upgrade the lighting in your home? We offer a variety of interior lighting options and can help you choose the one that best fits your style. Landscape lighting can add security, comfort, and value to your home. Let us light up your home’s exterior. When you require electrical repairs, it’s important to get it done immediately. Our technicians are highly trained in all aspects of electrical repair. Want to save on your monthly electrical bill and also help the environment? We can help you go green through a variety of ways including relamping and solar panels. From electrical wiring to appliance installation, our electricians can help with almost any new electrical installation. It’s incredibly important to make sure that your home is safe for you and your loved ones. We provide thorough electrical safety inspections to make sure that you are secure from electrical hazards. If you’ve recently moved into a new home, or need to replace a faulty switch or outlet, you can trust our electricians to provide you with what you need. Having an electrical component in your home break down is a frustrating experience. We are highly trained to replace any busted component in your home. If you’re planning on purchasing or have recently bought an electric or hybrid vehicle, you want trustworthy professionals to install your electrical vehicle charger. Panels and circuit breakers are responsible for the power in your house. If you’re having problems, work with a licensed electrician for the job. Faulty wiring can lead to disaster, and that’s a risk you don’t want to take. If your home is over 30 years old or you’ve noticed problems, contact immediately for electrical wiring services. If you have a fuse box in your home, you want to consider upgrading to a circuit breaker box in order to receive more power and save on your homeowner’s insurance premiums. In this day and age, electricity is a necessity in your home. We cook using electricity, wash our clothes, watch our favorite television show, charge our phones, light our way, and on and on. Our daily lives are dependent on the fact that the electricity in our home is functioning properly, and our safety is also in the balance. Faulty wiring is one of the leading causes of house fires. Also if an electrical appliance is not properly installed or is a little worse for wear, then electrocution is a possibility. It can be an exciting time building a new house, or even an addition such as a garage. Obviously, you want the construction workers to do their job correctly and ensure that everything is built properly and up to code, and you want the same from your electricians. If you’re in the need for new electrical installations, we’re the electrical company that you want to call! We’ll work with you to make sure that the system works with your needs, and is installed safely and correctly — the first time. If you’ve been experiencing consistent shutdowns of your electricity, this is an obvious sign that something is wrong. It’s likely that your system is being overloaded with power which often leads to a circuit breaker trip or a blown fuse. If this is happening to you, it’s likely time to upgrade your current electrical system. Another sign that you’re overloading your circuit is if you’ve been seeing your lights flicker on occasion. Even if you have a newer system, it can be possible to utilize too many of your appliances at the same time. No need to worry! Just give your local electrician a call and we will figure out the cause of the problem. If you live in an older home or have neglected to have your system checked, then it’s very possible that you’re in store for some electrical problems if you’re not already going through them. Electrical safety inspections are a great way to ensure that your system is running properly, and even more importantly safe. If you live in a home that is over 40 years old or have noticed problems, then we highly recommend having us come out to make sure that everything is functioning the way that it should be. Whether you’re adding a room to your house that requires electricity or you’re looking to upgrade your home with new features, we can certainly help. Interior and landscape lighting is a great way to enhance the appeal of your home and even add to its value. Same with updating your current appliances. We have a variety of options to choose from so that your home renovation project will reflect your personality and taste. More and more people have been seeking the benefits of conserving energy and going green. Not only is this a great way to reduce the cost of your monthly utility bill, but you’ll also be doing the environment a favor! We love helping our customers become more energy efficient and have a variety of ways that we can help. Whether it’s having solar panels installed, relamping old light fixtures with energy conserving LED bulbs, installing motion sensor lights, and more, we’ll get it done and help you save money. One of our most popular electrical services and a specialty of ours is electrical repair. We know how important it is to you that your electrical components are safe and functioning properly. If you are having an electrical problem such as unsafe outlets, rewiring, blown fuses, and more, you can rest assured that our Sun City electricians will be there on time and get the problem solved. We are experts in every facet of electrical repair, including diagnostics and troubleshooting. While these are some common reasons why our customers reach out to us, there are countless other issues that occur that we can help with. No matter what your problem may be, you can trust our team of specialists to help. We know how important it is to you when you hire an electrical company, that the technicians are courteous, respectful, and know exactly what they are doing. That’s why each and every electrician that we hire is fully licensed, bonded, insured, trustworthy, and has undergone and passed a mandatory background check. Each and every member of our team is very good at what we do and views customer safety and satisfaction as a top priority. If you live in the Sun City area and are in need of any electrical services such as new electrical installation, repair, safety inspection, and more, then make sure to contact Mr. Sunshine’s Home Services today!